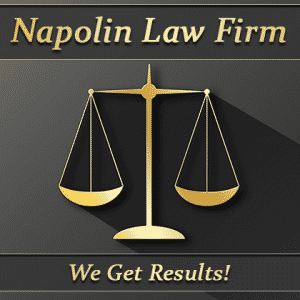 Car accidents can be a hugely stressful time for everyone involved. Oftentimes even minor incidents can lead to huge amounts of damage, to say nothing of the potential expenses that a person is looking at by way of medical bills, lost wages, physical rehabilitation and more. One of the more complicated aspects of this issue involves car accident liability, or determine who exactly is to blame for the incident that took place. Oftentimes car accident liability is more difficult than just trying to figure out which driver didn't stop at a stop sign, which is why there are always a number of important things to keep in mind. One of the most common misconceptions that many drivers have is the idea that if they are not immediately found at fault for an accident by a responding police officer, they don't actually have to do anything in order to protect their rights and receive the compensation they deserve. This is demonstratively false: the immediate aftermath of even a minor car accident are hugely important when it comes to fully documenting the incident from all perspectives. Failure to do so brings with it the very real possibility that you have just increased your liability for the accident, not reduced it. In the moments after a car accident, there are a number of important steps a person has to take. They should begin by immediately calling the police and also any emergency response services to help get medical professionals to the scene as quickly as possible. Detailed pictures of both vehicles should also be taken and you should contact your insurance company as soon as possible. In the days and weeks ahead it is also important to not only get property damage valuations done by trusted professionals (who will be recommended to you either by your insurance company or by your auto accident attorney), but also to document any and all medical treatment that you may receive. After a car accident occurs, the number one priority for the insurance companies of both parties will always be in trying to figure out exactly who was responsible for the event. Understanding as much as possible about how this liability is determined will help make sure that you don't end up paying out of pocket for a situation that you had no fault in, or that you don't end up being responsible for someone else's mistakes. It is important to note that just because you were found at fault on an incident report by a responding officer DOES NOT necessarily mean that you will lose should your case go to court. Oftentimes things are much more complicated than that. State traffic laws will be a hugely important asset during this time, as certain things like which driver had the right of way will be key pieces of information in determining which party made the mistake that ultimately resulted in a collision. Different states have different laws determining things like right of way and rear-end collisions, however, which is why it is so important to document things as accurately as possible to have the highest quality information moving forward. Determining fault can be a hugely complicated issue that is difficult to undertake on your own. 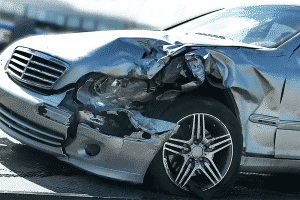 Things like the jurisdiction that the incident occurred in and even the insurance status of the other driver can all make it difficult to get the financial compensation that you deserve. These are a few of the many reasons why it is so important to contact a qualified auto accident attorney or personal injury lawyer when you or a loved one are victims of a car accident - they have years of experience with situations just like yours that they are ready and waiting to leverage to your advantage.